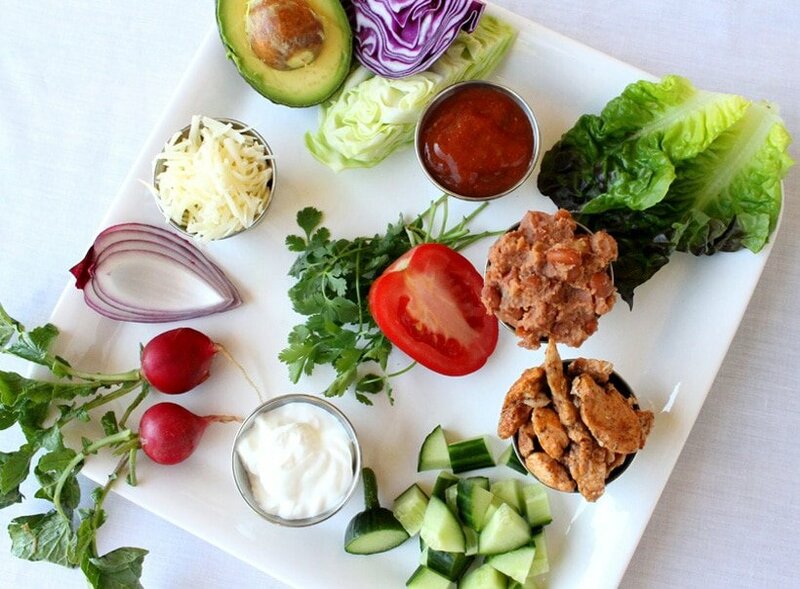 An edible crispy bowl filled to the brim with fresh ingredients. 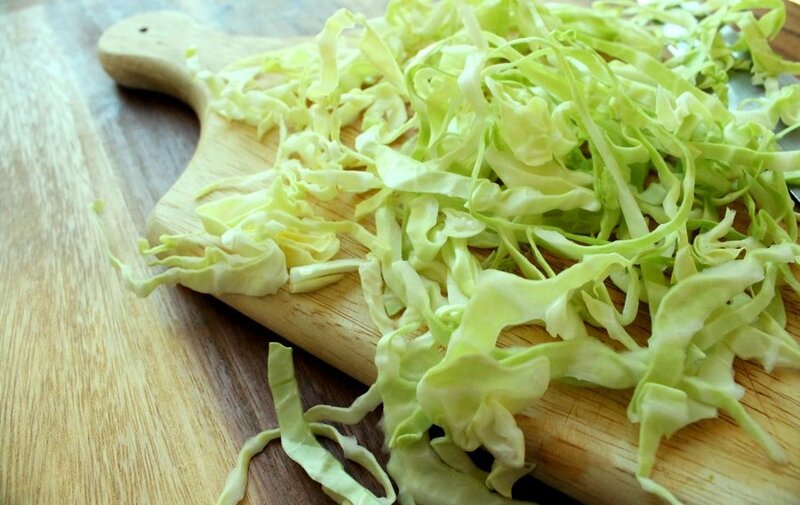 This is a fun way to use up leftover meat that you may have….or this dish can even be meatless if you like. 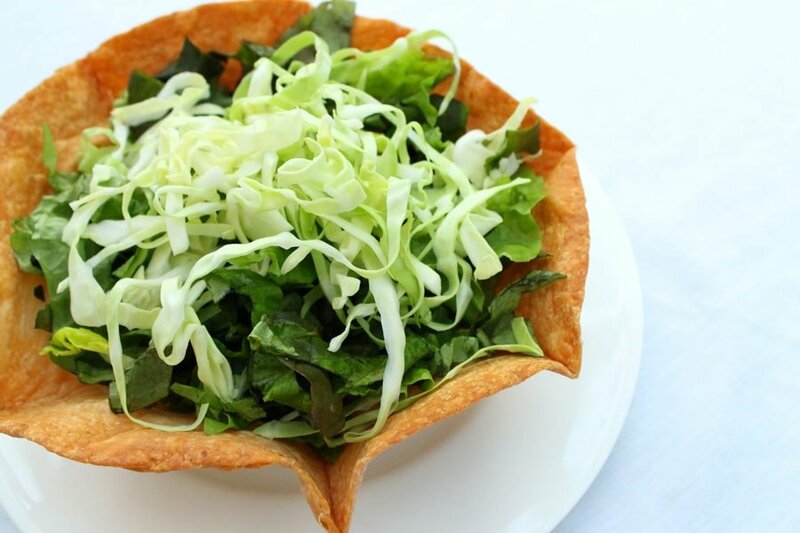 The crispy taco shell is so good to munch on when eating this salad, and the veggies taste delicious mixed together with the sour cream and salsa. Feel free to add your own touches to the ingredients. 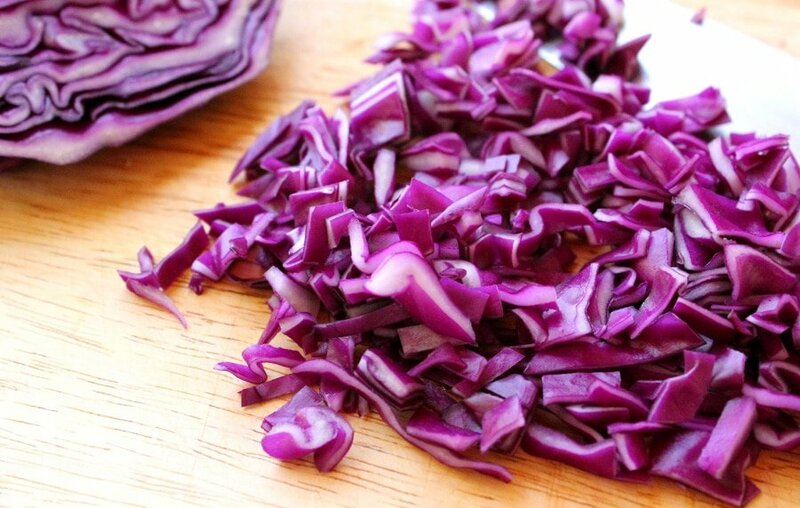 You may want to omit some ingredients, or add different veggies. 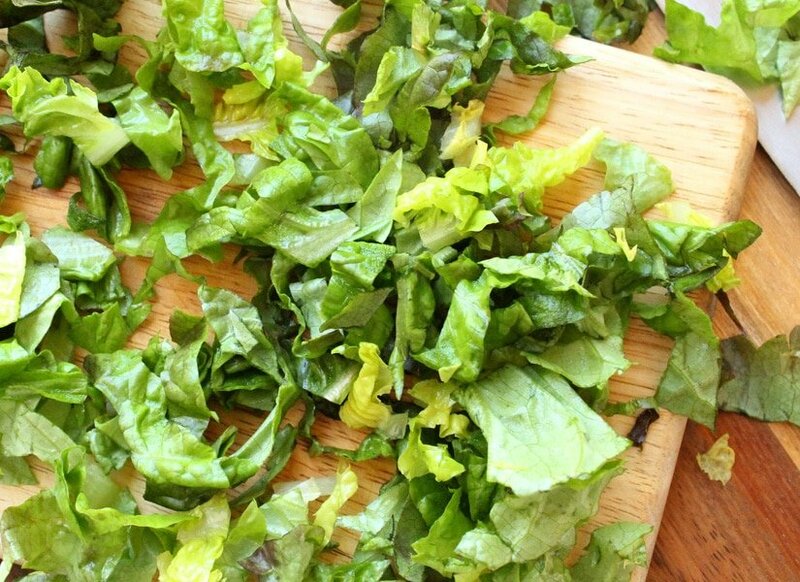 This salad can definitely be customized to your liking. Preheat Oven to 350 degrees. Put two medium size oven safe bowls upside down on a cookie sheet. 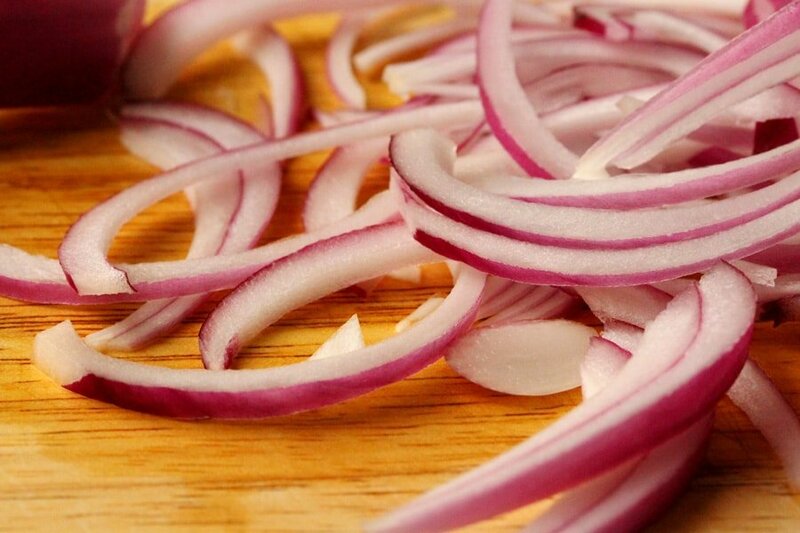 Brush the bowls with some of the canola oil and set aside. In a skillet that is large enough for a tortilla to lay flat; add enough canola oil so that it’s about ½ inch deep in the pan. 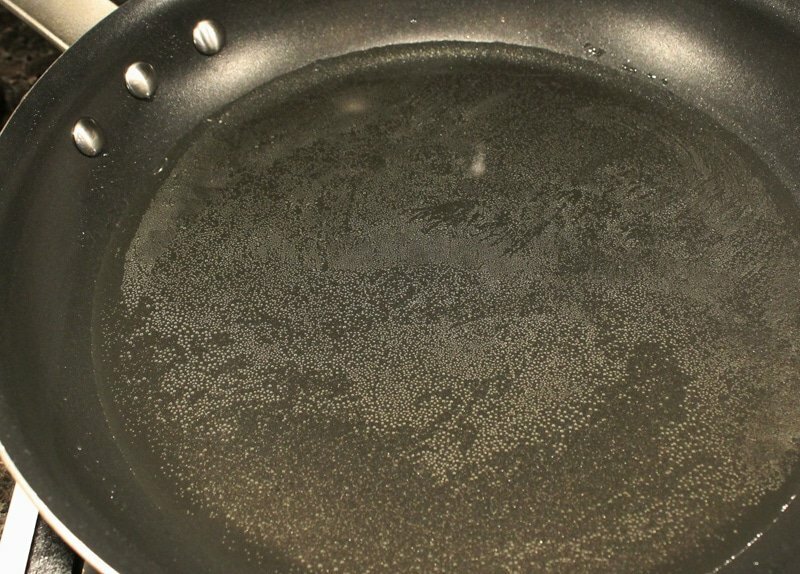 Heat the pan on medium heat (not too hot). 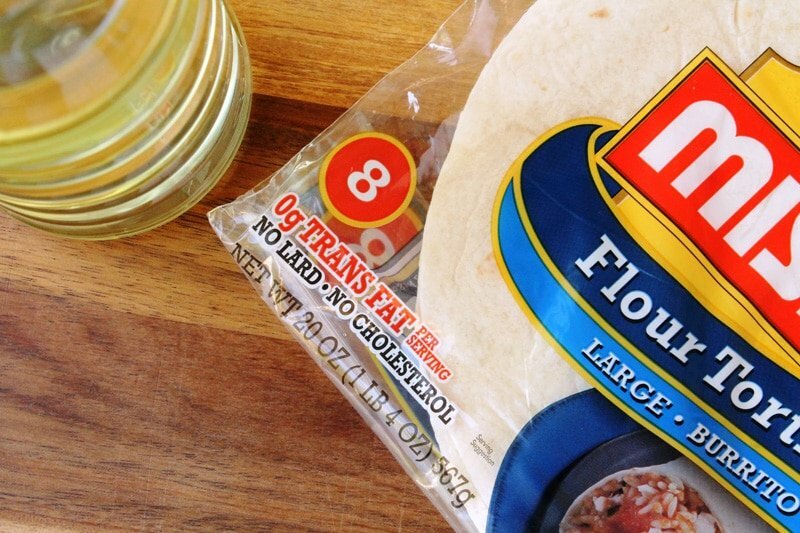 Lay one tortilla at a time in the warm oil for just a couple seconds, just long enough so that the tortilla is pliable. Then carefully lift the tortilla from the oil with a pair of tongs and hold it over the pan so that the loose oil will drip back into the pan. Next, lay one tortilla over each one of the upside down bowls. Shape the tortillas around the bowls (if the tortillas are too hot to handle use your tongs to shape them around the bowl being careful not to rip the tortilla). 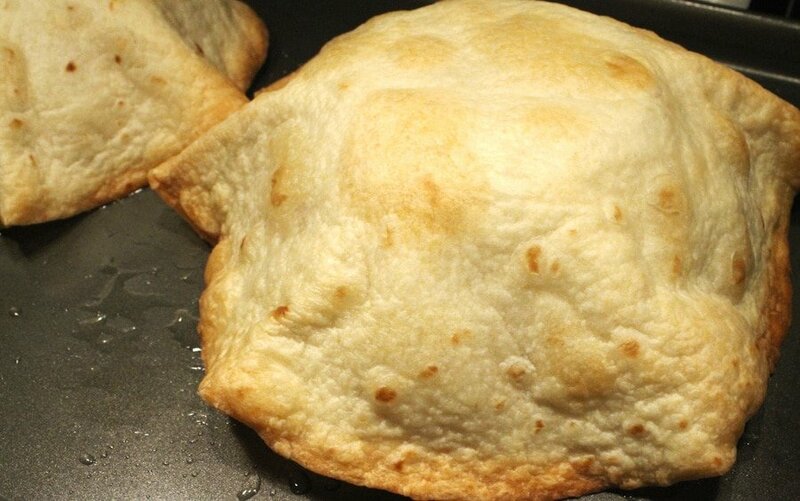 Bake the two tortillas until the outsides of the shell are golden brown (about 10 minutes). Watch them closely so they don’t get too brown. Right after removing them from the oven, carefully remove the tortillas from the bowls. 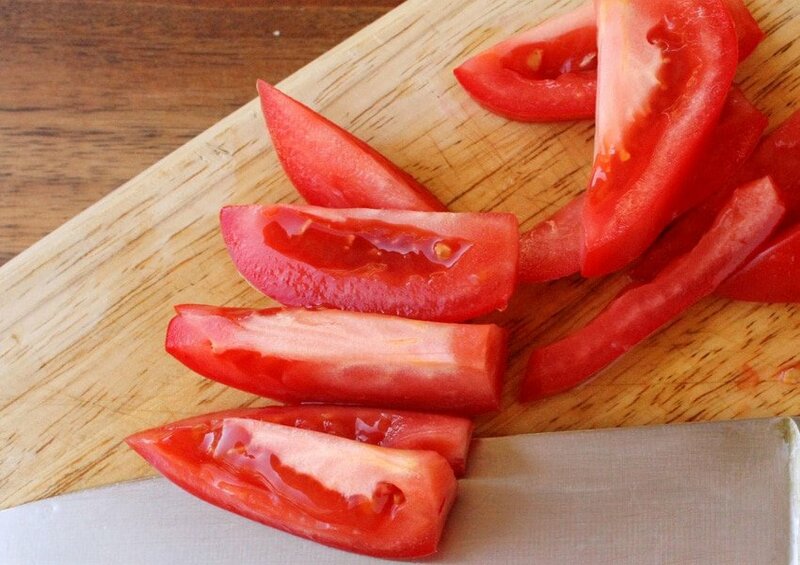 If they’re sticking to the bowls try using a dinner knife to gently pry them loose. Here’s what they look like after being removed from the upside down bowls. 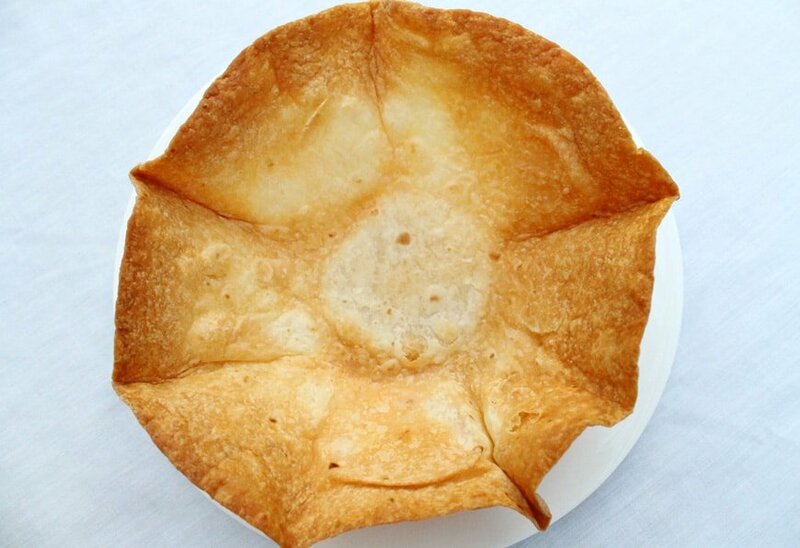 After the cooked tortilla shells are removed from the bowls, put them in the oven for about 3 minutes so the insides of the tortilla bowl turn a golden color. Repeat the process to make the remaining two tortilla bowls. 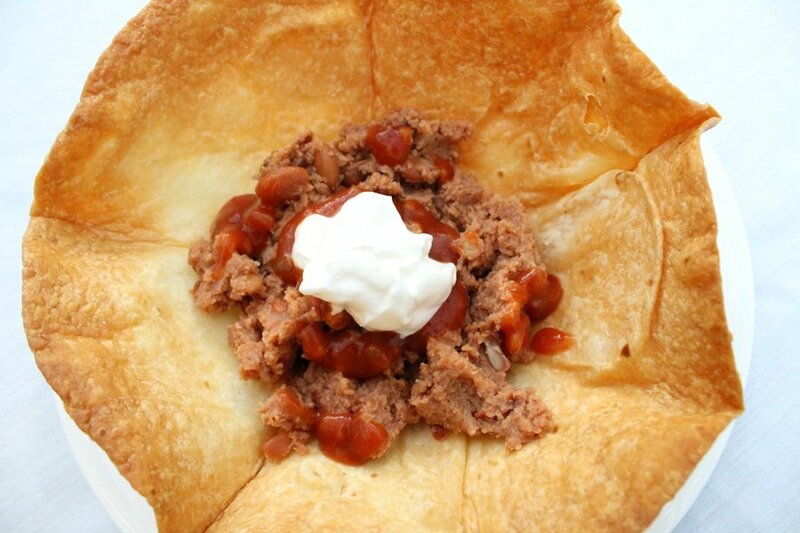 Add the refried beans to the bottom of each tortilla shell bowl (approx. ¼ of the can in each bowl). 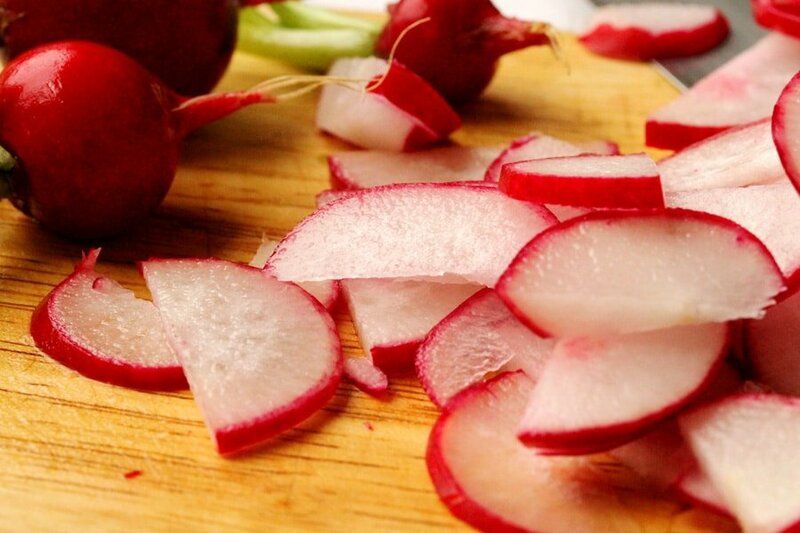 Add some salsa and sour cream. 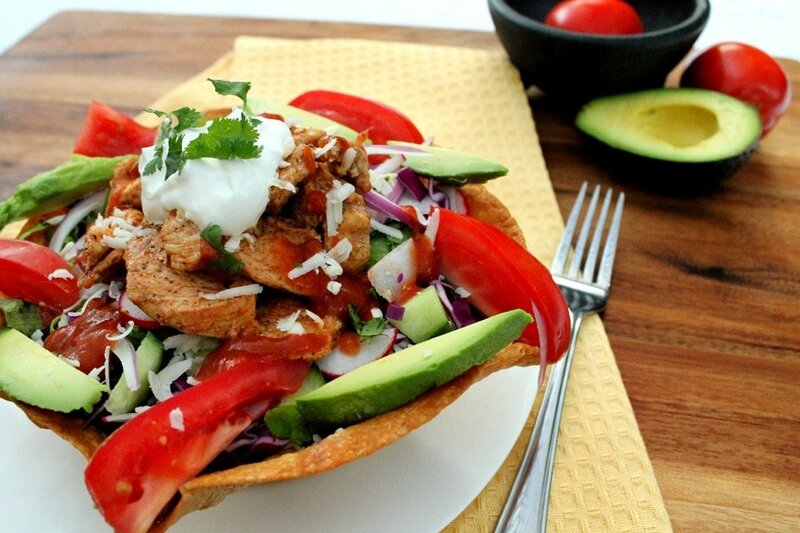 …to the crispy tortilla shell bowl. and the avocados to the salad bowl. Top with the meat of your choice, cheese, salsa, and sour cream. Garnish the sour cream with some cilantro. On a cookie sheet with sides, place 2 medium size oven safe bowls upside down so that the bottom of the bowls are facing up. Brush the bowls with canola oil and set aside. In a skillet that's large enough for a tortilla to lay flat; add enough canola oil so that it’s about ½ inch deep in the pan. 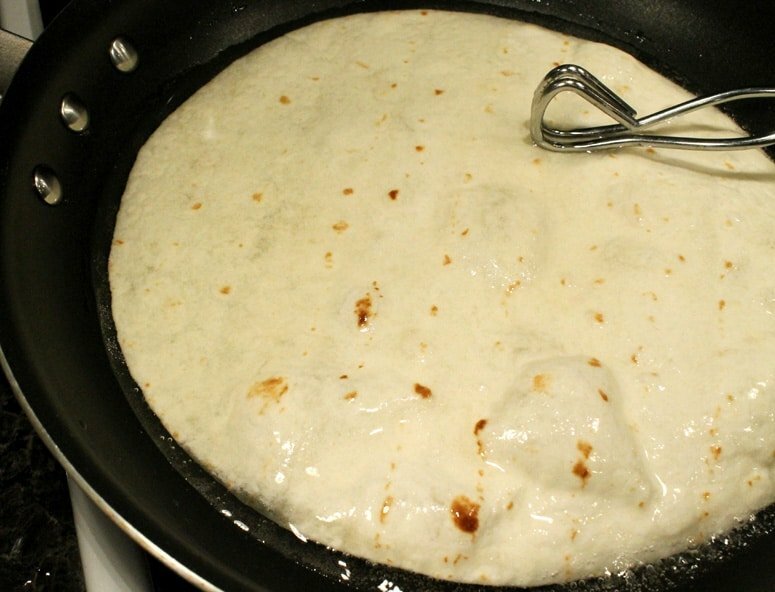 Then carefully lift the tortilla from the oil with a pair of tongs and hold it over the skillet so that the loose oil will drip back into the skillet. Then carefully lay one tortilla over each one of the upside down bowls. Shape the tortillas around the bowls. If the tortillas are too hot to handle use tongs to shape them around the bowl while being careful not to rip the tortilla. 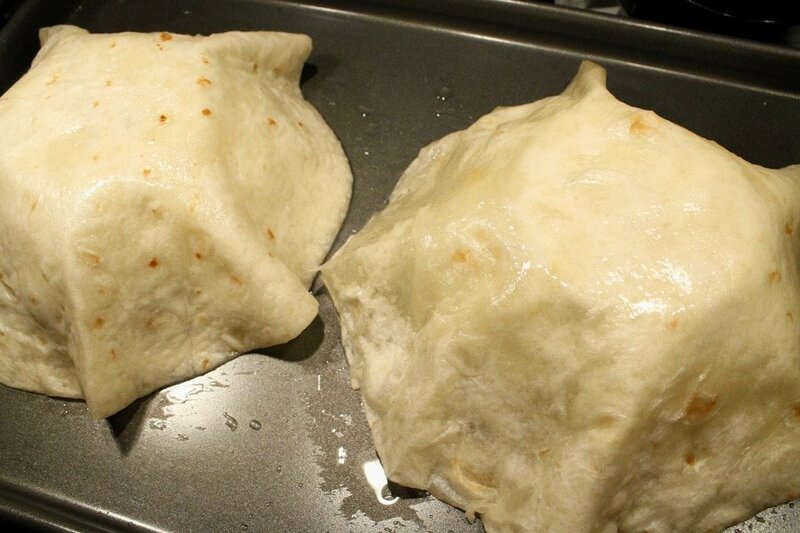 In a preheated oven, bake the two tortillas until the outsides of the shell are golden brown (about 10 minutes). Watch them closely so they don’t get too brown. 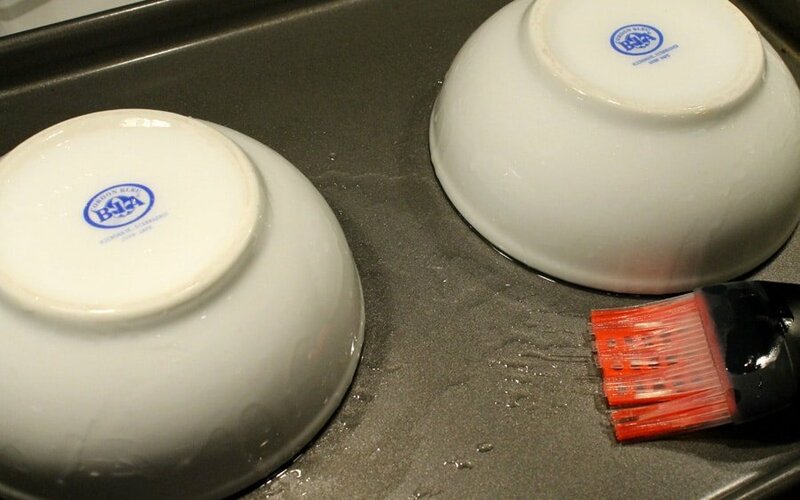 Right after removing them from the oven, carefully remove the tortillas from the bowls. 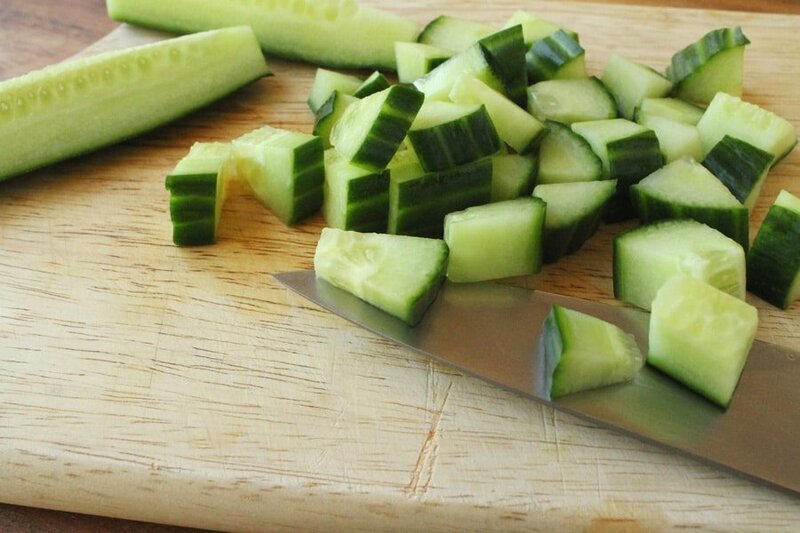 If they are sticking to the bowls try using a dinner knife to gently pry them loose. 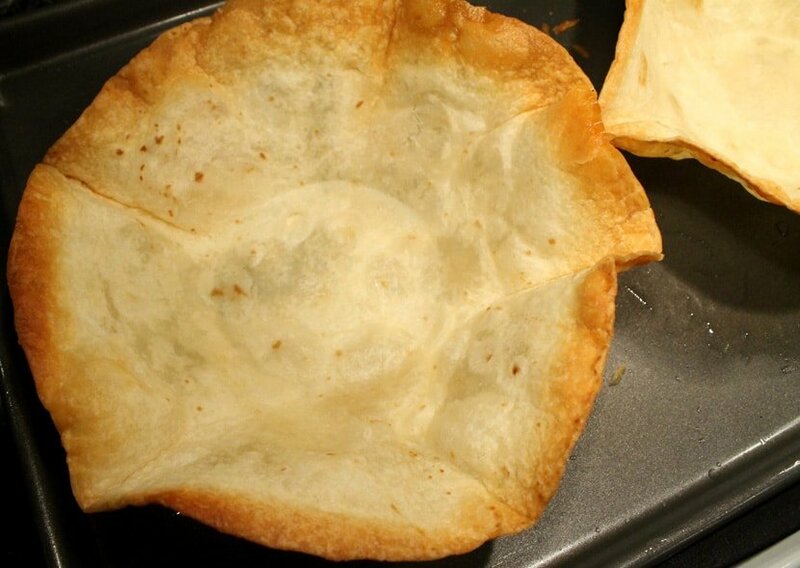 After the cooked tortilla shells are removed from the bowls, put them in the oven so the inside of the tortilla bowls turn a golden color (about 2 to 3 minutes). 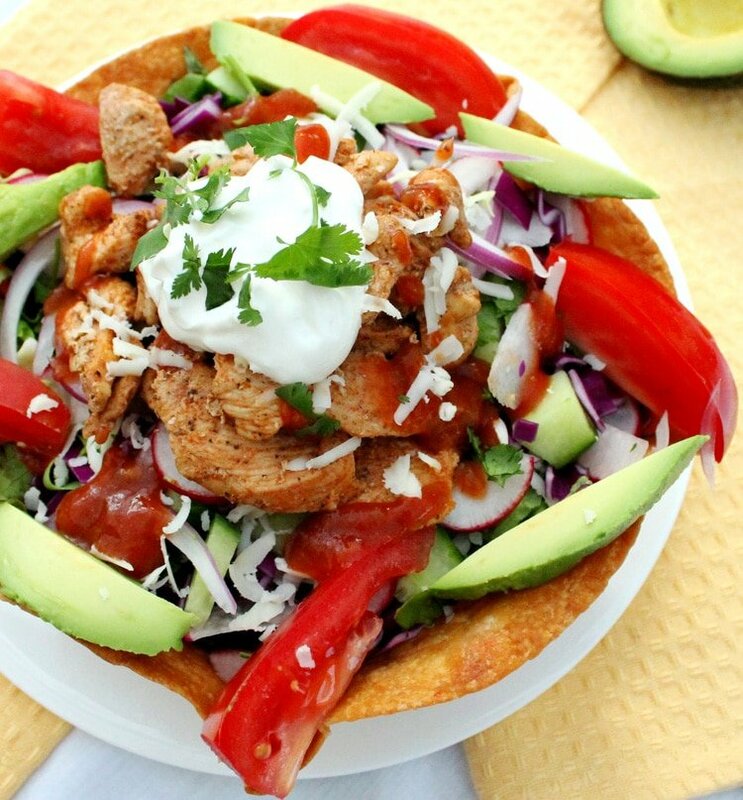 To the bottom of each tortilla bowl, add warm refried beans (about ¼ of the can in each bowl). Top the beans with salsa and sour cream. Next, add lettuce, green cabbage, purple cabbage, cucumbers, radishes, cilantro, tomatoes, onions and avocados. Top with the cooked meat of your choice, shredded cheese and salsa. 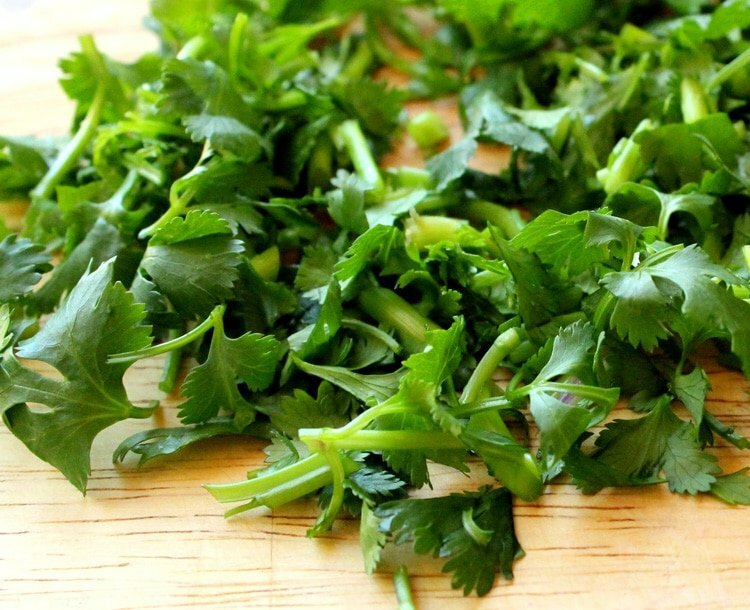 Garnish the sour cream and chopped cilantro. This looks wonderful! I love how you did the shells.